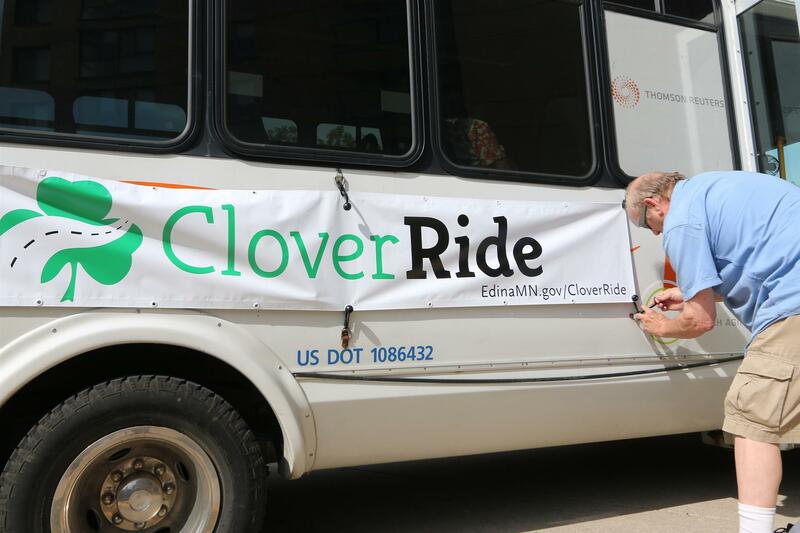 The Rotary Club of Edina is sponsoring the City of Edina’s new Southdale-area circulator bus called CloverRide. With the goal of making the Southdale area more accessible, CloverRide is offered weekly on Fridays from 10 a.m. to 3 p.m. Riders pay a daily fare of $3 that allows them unlimited rides throughout that day. CloverRide currently has 10 stops in the area that run on a loop, beginning at Brookdale Edina. The entire loop takes one hour. The full schedule with departure times can be found online here. Riders who are near the route can also request a special stop if it’s within two blocks of the regular route. To request a special pick up, call 651-234-2272. Additionally, riders with mobility devices such as scooters, wheelchairs or walkers are welcome; the CloverRide driver will assist with the loading as needed. The bus is operated by DARTS, which has helped support several other community transit services in the area. Explore Edina is another CloverRide sponsor. For more information, visit the website.